2019 Fiat 500L Trim Levels with Comparisons & Configurations. What 2019 Fiat 500L Trim Level Should you Buy? What is the Difference Between Trims? Designed for the drivers who need more space than the regular Fiat 500 hatchback can offer, the 2019 Fiat 500L is a good choice for families. You'll appreciate the 500L's spacious seating and easy-to-use interior features. Cool styling also helps make the new 500L an attractive choice. Although all-wheel drive is not available, this compact wagon will perform well in most driving conditions. Let's check out the key differences between each new 500L trim. 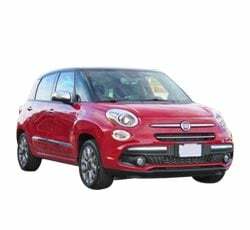 Compare the 2019 Fiat 500L Pop vs Trekking Trim Levels. What is the difference? With a starting MSRP of less than $22,000, the base Pop trim is your least expensive option. 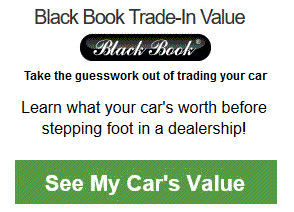 However, it's just as rewarding as the upper trim levels. 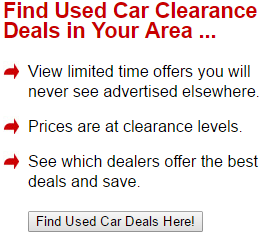 Along with your purchase comes a 50,000-mile powertrain warranty and a 50,000-mile bumper-to-bumper warranty. Like every new 2019 Fiat 500L, the Pop trim is powered by a small four-cylinder engine. It's the same engine that's found in a number of other Fiat models. Total output stands at 160 horsepower and 184 pound-feet of torque. Sending the available power to the front wheels is a six-speed automatic transmission. In regard to fuel economy, anticipate getting 22 mpg in city traffic and 30 mpg on the open highway. Premium unleaded gasoline is recommended. You'll receive all of the required safety equipment. Four-wheel antilock brakes come standard. A tire pressure monitoring display provides an extra sense of security on the road. Some of the other important safety features include an alarm system, electronic stability control, and electronic roll mitigation. In terms of exterior styling, the Fiat 500L Pop doesn't make many sacrifices. It comes standard with daytime running lights and a set of 16-inch alloy wheels. Heated side mirrors help clear away frost on cold mornings. However, you can further bolster the Pop trim's curb appeal with an optional Chrome Appearance package. This package decks out the wagon with chrome accents and a more attractive set of 17-inch alloy wheels. You'll be able to pick from multiple paint colors, including Black Clear Coat and Blue Tornado. On the inside, the 500L Pop provides just enough creature comforts. A tilt-and-telescoping steering wheel and height-adjustable front seats help ensure a relaxed ride. Your passengers sitting in the back will enjoy the sliding rear seats, which optimize the wagon's legroom. Meanwhile, tinted windows help keep out the sun. Despite being the base model, the 500L Pop still comes loaded with a satisfying list of high-tech goodies. Featuring a 7.0-inch touch screen with Apple CarPlay and Android Auto smartphone support, Fiat/Chrysler's Uconnect interface is among the best in the business. Two USB ports enable you to power up your electronic devices. Other highlights include remote locking/unlocking, a six-speaker sound system, and a backup camera. To enjoy a bit more luxury on the road, take advantage of the Pop trim's available Popular Equipment Group package. Not only does this package add power lumbar to the driver's seat, but it also provides dual-zone automatic climate control. If you live in the city, you'll greatly appreciate the rear parking sensors. An auto-dimming rearview mirror is included as well. For the drivers who desire just a bit more technology, Fiat offers the 500L Pop's Premium Group package. It replaces the standard stereo system with a more entertaining BeatsAudio sound system, which comes with a total of seven premium speakers. Satellite radio is another one of the Premium Group package's upgrades. Travelers will also appreciate the built-in navigation system. Priced at $23,325, the 500L Trekking is a notch above the base 500L Pop. Under the hood sits the same turbocharged four-cylinder engine. What really sets apart the 500L Trekking is its more rugged exterior styling. You'll immediately notice the Trekking trim's more adventurous-looking front fascia. Its rear fascia is also styled differently. Unlike the base model, the 500L Trekking welcomes you to leather upholstery. Heated front seats provide a much appreciated touch of warmth on cold days. Meanwhile, LED ambient interior lighting helps set the mood. The Pop trim's optional Premium Group package, which provides upgrades like a BeatsAudio sound system and navigation, comes standard on the 500L Trekking. However, you'll still have to pay extra for the Popular Equipment Group package. Compare the 2019 500L Trekking vs Lounge Trims. What is the difference? Atop the 500L lineup sits the Lounge trim, which has a starting MSRP of $23,895. In terms of exterior styling, the 500L Lounge looks more like the Pop trim opposed to the rugged Trekking trim. However, chrome exterior accents and a larger set of 17-inch alloy wheels separate it from the 500L Pop. All of the optional equipment comes standard on 500L Lounge. A panoramic sunroof is available as an option. You can give the 500L Lounge a bit more flair with its optional Graphite Edition package. It equips the wagon with a special set of 17-inch aluminum wheels and a gray accent roof. Mirror caps also help give the 500L Lounge an exclusive look. All of the available trims prove to be standout values. However, you can save the most money by going with the base 500L Pop. It's arguably the lineup's best deal. When checking out the Fiat 500 Pop, many people are initially attracted to its contemporary styling. It looks just as attractive as the more expensive trims. Although the Pop trim's optional Chrome Appearance package is an extra cost, it does give the wagon more pizazz. While the Fiat 500 Pop's interior is not luxurious, it does surround you with must-have features. The Uconnect touch screen is a definite highlight. Aside from working in harmony with your smartphone, this interface isn't difficult to use. A standard 7.0-inch touch screen adds to the Pop trim's appeal. To ensure that everyone can obtain a commanding driving position, Fiat equips the 500L Pop with a tilt-and-telescoping steering wheel. If you can afford it, consider getting the Pop trim's optional Premium Group package. You'll enjoy the BeatsAudio system's more exciting sound. The available Popular Equipment package may prove to be even more rewarding, which includes power lumbar for the driver's seat and rear parking sensors. There's no overlooking the 500L Trekking's more rugged appearance. This trim looks ready for a serious adventure. Despite its tougher exterior styling, the 500L Trekking is not engineered to tackle rough terrain. In terms of performance, it's identical to the base 500L Pop. Off-road necessities, such as all-wheel drive and undercarriage protection, are not available. When you step inside the 500L Trekking, expect to experience a bit more luxury. It comes loaded with leather-trimmed seats, which have heating functions. You also get to enjoy niciities like the BeatsAudio sound system and ambient interior lighting. Remember, the Fiat 500L Trekking is nearly $2,000 more expensive than the 500L Pop. The range-topping 500L Lounge is also a sweet deal. It's only $570 more expensive than the 500L Trekking. You'll enjoy all of the available upgrades, including the 500L Trekking's optional Popular Equipment package. Although not many options are available for the 500L Lounge, you can get a Graphite Edition package. This package really gives the wagon an exclusive look. At the end of the day, you should choose the trim that best fits your specific budget. It's hard to go wrong with the base Pop trim. 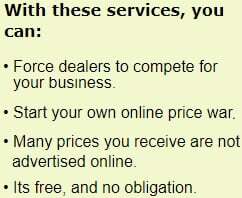 However, adding the optional packages will cause you to spend more money. While the Trekking trim has a noticeably higher MSRP, you will enjoy a more upscale interior and a rugged-themed exterior. Because there's only a small difference in cost between the 500L Trekking and the 500L Lounge, it simply comes down to a matter of personal taste. Remember, no version of the new 500L can be equipped with advanced safety innovations like blind-spot detection and automatic emergency braking. When looking at the 500L's list of available safety features, you'll notice the absence of driver-assist technologies like forward collision alert and blind-spot detection. The optional parking sensors are the most advanced safety innovations available on the new 500L. Essential safety gear, such as a backup camera and seven airbags, come standard on every trim. Most drivers will enjoy listening to the standard stereo system. On the other hand, true music lovers will want the available BeatsAudio system. It's powered by a 368-watt amplifier, which enables the system to offer digital sound quality. When playing bass-heavy music, the system's 8.0-inch subwoofer will produce the necessary thump. Fortunately, every trim benefits from an excellent Uconnect infotainment system. It's easy to use and provides quick access to your mobile apps. You can also customize Uconnect's menu bar. The upgraded version of Uconnect with navigation performs equally as well. Drivers will appreciate the 3D road maps. Of course, Fiat doesn't offer the new 500L with an optional engine. Although the standard turbocharged four-cylinder engine is not a powerhouse, it feels peppy in most driving situations. When traveling with a full load of passengers and cargo, expect the 500L to feel a bit drained. While the new Fiat 500L can tow just over 1,000 pounds, this wagon isn't recommended for pulling big loads on a regular basis.